While this winter has seen warmer than usual temperatures, real estate sales in Highlands/Cashiers area show a little warmth as well. The real estate market is often considered to be “Hot” when things are moving well. The first half of 2016 started off really slow in sales. The last half made up for the slow start. 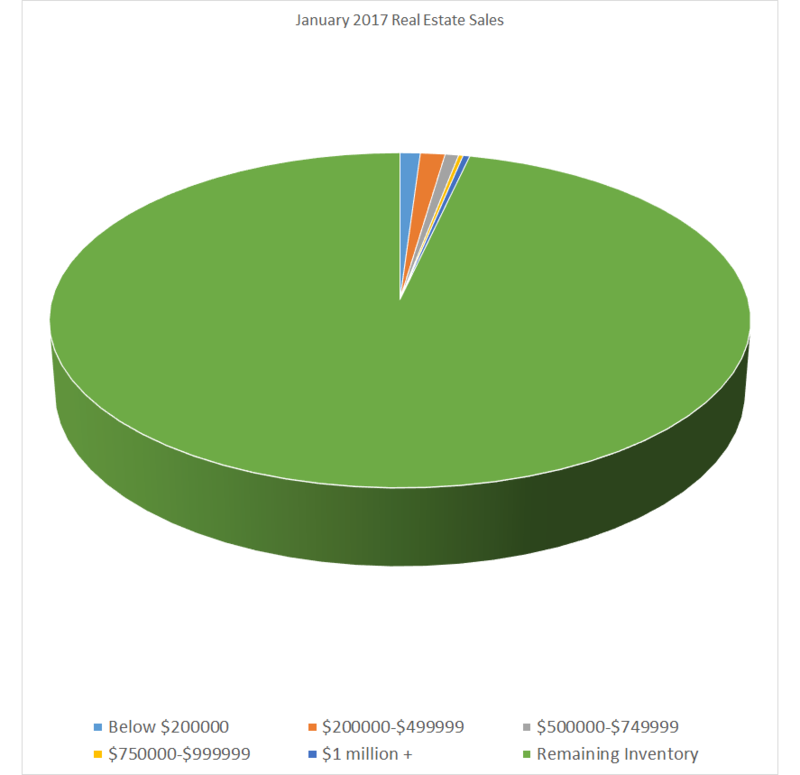 January, 2017 is continuing to show good sales for our area. While one may not consider it to be a “Hot” market, the trend appears to be positive. In looking at the January sales for the last 4 years, there appears to be an overall upward trend. This is great for sellers. However, one should not become over-confident and expect a quicker sale. 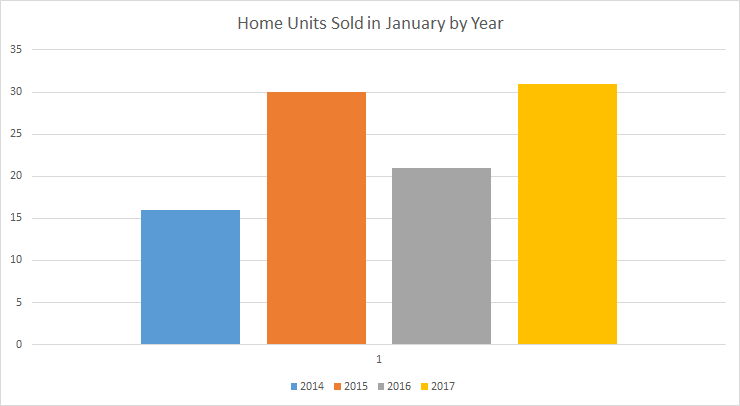 While sales appear promising, one must keep in mind the reality that there were only 31 homes sold in all of January 2017. There are currently 944 homes on the market. This is still an inventory of 30 months. In other words, it would take 30 months to sell all the listed property at this rate. A strong market is typically considered to be below 6 months of inventory. Average Unit Sales per Month/1 Year Average: 49 Remember, total units sold nearly double in summer months, while winter months tend to be slow. The Yearly Average gives us better market expectations. YOY Inventory: 25 months – This is calculated by using average inventory on market compared with average unit sales for 1 year. Average DOM: 509 This number is for January sales only. Median Sales Price: $276,500 This is the first drop below $300,000 for several months. Average List/Sell Ratio: 89.11% – This is indicative that pricing is considered by Buyers to be too high. Cashiers and Highlands real estate market. However, one only needs to look at this chart to see where their “slice of the pie” may be. Great expectations should not be expected. However, there does appear to be some light shining through. Inventory: 91 months. That’s nearly 8 years of inventory. Synopsis: Land is moving, but at what many consider to be a snail’s pace. Land prices will most likely be held down for some time to come. 6% of home sales ranged from $500,000 – $749,999. 2% of home sales ranged from $750,000 – $1,000,000. January is continuing the upward trend that started last summer. This offers hope for a continued increase. Surrounding markets have been doing well for the last few years. Will 2017 be the year for this market? BUYERS: Continued positive signs in market increase give Sellers confidence that prices will return. While this may still be considered to be a Buyers Market, such hope for Sellers may cause many to hold out stronger on current pricing. Already, some home owners have increased their Listing Price. This may be premature on their part, but does give Buyers the indication that their best opportunities at great pricing may start to wane. SELLERS: While positive signs do offer hope, the List to Sale ratio of 89% suggests that many properties are still well overpriced. The best determination on your Listing is the amount of showings. Little to no showings could well indicate Buyers do not find your pricing attractive, thus they look elsewhere. Talk with your Broker. If you want to sell, consider the advise they offer. They, too, want to sell your home, but can only perform as well as you will allow them.